Welcome to the Priory Association! 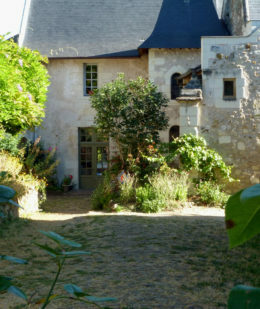 The Saint Rémy la Varenne Priory Association, subject to 1901 law is registered as a community association. 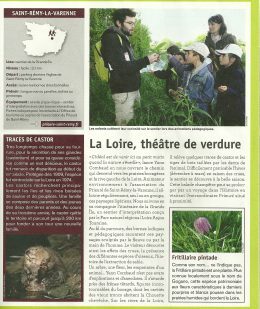 It was created in 1989 to federate volunteers to valorise, energise and liven up the Saint Rémy la Varenne Priory to protect it. Quickly the Association interest had enlarged to plant, cultural and educational topics, offering a large choice of activities. Those activities are grouped in the ‘rendez-vous du Prieuré’ and accessible to everyone. Among others, the Association organise educational animations, wild excursions, markets, roundtables, concerts, theatre and documentary meetings. The main event of the year (more than 8,000 visitors during the weekend) occurs at the autumn: The Hortomnales party. This family party is organised around the presentation of the Priory cucurbit collection. 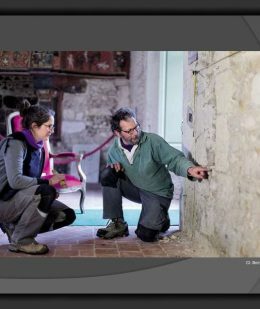 Each voluntary can invest within a working group accordingly to its centres of interest and its availabilities: local history, natural areas, botany, cucurbits, parties, Priory upkeep… Our enthusiasm and wish to pass on experiences federate us. 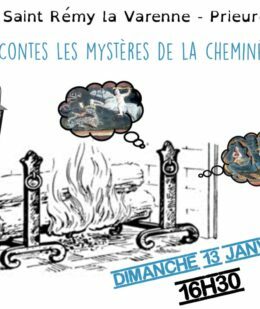 Everything is possible, everyone is welcome, we are waiting for you numerous to the Saint Rémy la Varenne Priory. The association is offering you educational activities and discovery excursions all along the year with our two organisers. These excursions aim to provide you environment and patrimony teaching thanks to the discovery of the village and its surrounding patrimony. 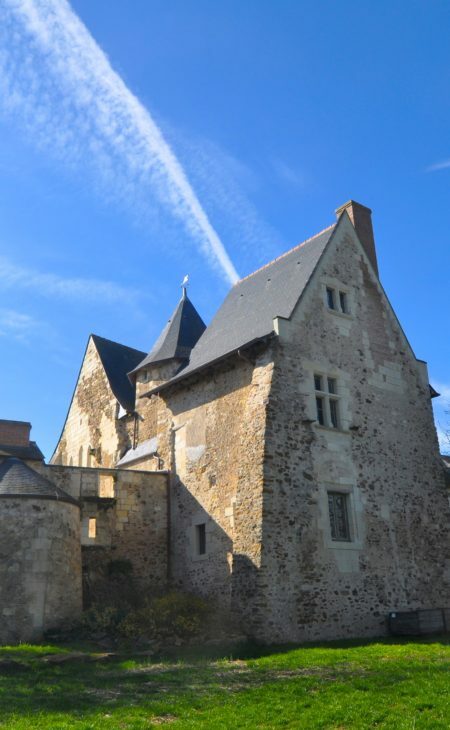 The ‘rendez-vous du Prieuré’ make you discover a rich programme of theatre, festive activities including night markets, creative workshops, junior and adult wild excursions and the dramatised Priory visits, that become more and more famous. 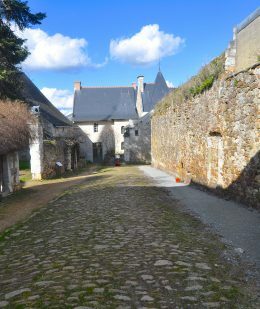 The Priory Association also organise cultural and touristic activities with a voluntary team motivates by passion and wish to pass on their knowledge about History, Archaeology, Botany and plants. Yearly, for European patrimony days, the Association organise visits and thematic conferences illustrating dynamism and quality of Priory events. The Association account for more than 200 volunteers, a team of two full-time organisers, Aurélie Duchêne and Jean-Clément Pelletier, and numerous donors and sponsors. It is an associative organisation mainly funded by its own activities. A broad of governors that clarify and validate decisions. The 17 governors are elected during the general assembly. They organise them self as commissions (gardening, shows, exhibitors…). The Broad of governors elects a president, vice-presidents, treasurer, vice-treasurer, secretary and vice-secretary. A small committee of four volunteers and the president that regularly organise committee meetings. As every year since 1989, the hortomnales are organised the last weekend of October. The 29th Hortomnales are scheduled for the 27th and 28th October 2018. This family party welcome more and more visitors each year (more than 8 700 visitors in 2017). It presents both an extensive and original cucurbit collection and an incredible cucurbit market. All are cultivated by our volunteers, with the participation of local farmers offering their time and fields for the cucurbit cultivation. These two lovely days, full of magical autumnal colours, offer visitors time to stroll through the wooded park on a musical beat. They discover numerous craft workers, local producers and animations for everyone that leave imperishable memories. All visitors become agog to come the following year again!